I’ve watched Montero 5 times, and let’s face it, the Mets have failed to provide him consistent run support, but it’s fair to say, Rafael isn’t holding up his end either. The only start that was quality was his home start versus Arizona, where he have up 1 run and struck out 10. Other than that he has a high pitch count every time he pitches, and hasn’t established a got put-away pitch. His velocity resides in the low 90s which is nothing special. 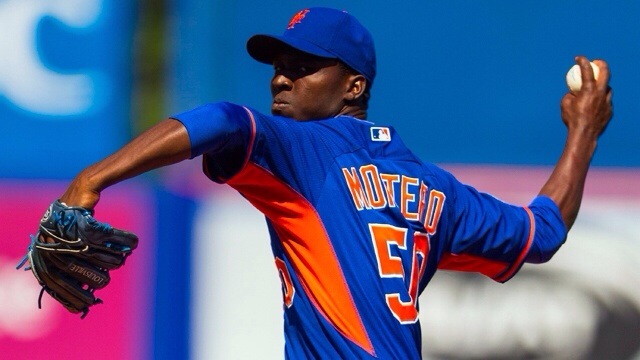 I struggle to see the promising side of Montero, and I suggest the Mets send him back to AAA for 1-2 more more starts and end the year. Monty is not an overwhelming pitcher, doesn’t have control, works deep counts, and is very vulnerable to the long ball. I saw this in 2010 with Mejia, hopefully we see some good things from him in the future.